Yes. Yes, I think we nearly are. Equus, mx_boarder, stridercdh and 7 others like this. 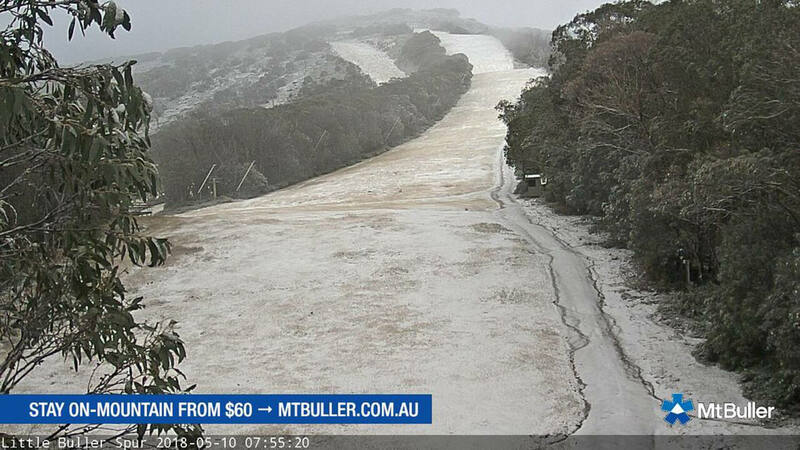 Going to make snow use at Buller even more efficient for those poor snow years. A mate of mine who works in a GPS type field was talking about kind of thing that last year. Not sure if it's related. Could be. Perhaps it's a good thing that BSL are investing with snow gaining and preserving techniques, with the snow factory, more snow guns and now improved grooming. Now all they need to do is dig the hole! Max29057 and Chaeron like this. A few photos from today on the hill! Standard is looking good. Equus, miss_b_haven, willsnow and 5 others like this. Season car pass price rise is ridiculous. luvthabumps, skixracer, Jellybeans1000 and 2 others like this. We should hold the councillors accountable at the next election. Chaeron, skixracer, mx_boarder and 4 others like this. What’s the 2017 vs 2018 cost? miss_b_haven, mx_boarder, Jellybeans1000 and 2 others like this. Have prices been published for lift passes and vehicle entry? I've heard whispers about lift pass prices becoming variable based on time of season, and also encouraging booking early and online - similar to the US. ie if you walk up to the ticket office on a Saturday morning in August it won't be pretty but if you book online a few days (or weeks) ahead it will be much cheaper. Also prices could go quite low midweek with the same requirements. Surely I'm misinterpreting $55 for gate and $55 for overnight parking (first night)? Has the price of resort entry dropped by a dollar for online payment? Last year it was 45 dollars, wasn't it? but the parking prices are ridiculous. But it looks like the taxi prices are cheaper too. Here's a sheet I created for an easy 2017 vs 2018 cost comparison. Disclaimer: I am not responsible for the accuracy of information contained on that link. Speaking of, would they still do the half-price gate entry if you arrive before 8AM ? Yeah it was $45 last year: Check the archive. I've never stayed overnight on the hill before so I guess that's a $1 win? Is resort entry still free for old farts? I think they raised the free entry/skiing age to 90 a year or two ago. Have they changed the online shop provider again for lift passes too? Last year they advertised free resort entry for opening weekend on the website so when I arrived and was asked to pay I showed her the website and she said look at the date and read the terms it was actually for the year before. She too was shocked but management told her to charge every one and tell them it’s last years deal. Accordingly, we are pleased to announce the following changes for the 2018 season. Visitors can save 20% by buying resort entry, overnight permits and taxi (Valet) tickets online. The resultant online resort entry price of $44 is actually lower than 2017. Guests who purchase online can also skip the resort entry queue at Mirimbah and head straight to the snow. Knowing how many people are coming will help scheduling staff and buses so as to improve the arrival experience. A fee equal to the cost of resort entry applies to the first night of an overnight stay, which is similar to other resorts. The savings then kick in, with subsequent nights costing only $8 midweek and $28 for Fridays and Saturdays when purchased online. Visitors appreciate the door to door service from their car to their accommodation, which has now been renamed as a Valet service. In response to visitor feedback, the adult fare has been significantly reduced from $23 to $14.40 and the child fare from $15 to $7.20 when booking online. In a further benefit for families, the adult rate will only apply to people over 17 years old (previously 14). To help make coach travel more affordable, resort entry prices have been reduced from $15.80 to $15 for adults and from $11.10 to $10 for tertiary students and kids. Coaches will no longer stop at Mirimbah resort entry to make their payments, leaving the main road clear for vehicles that already have a permit. So visitors with a season permit or who have pre-purchased online can drive straight through and get up top even faster. 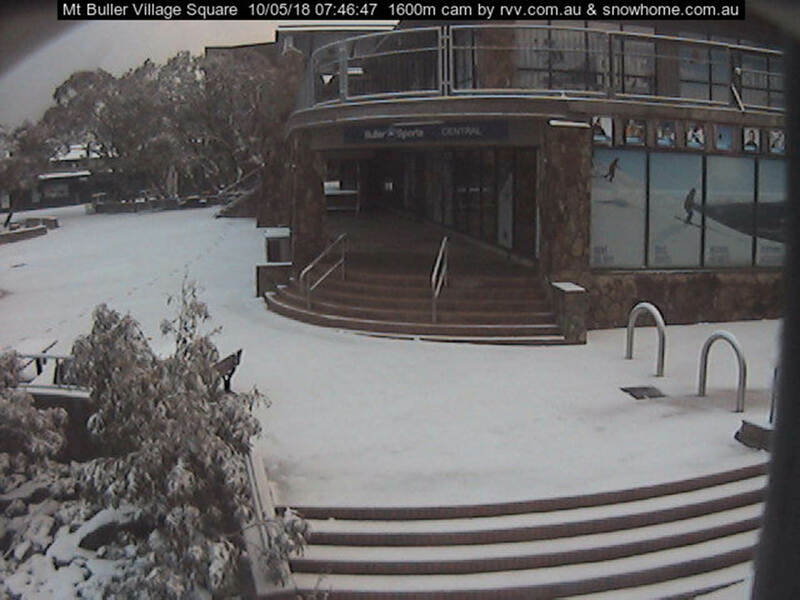 We believe these changes will help make for an exciting season, and ask for your assistance in encouraging visitors and guests to book online at www.mtbuller.com.au to realise these significant savings. The resort entry, overnight and valet fares are outlined below. Click here to download a PDF of this document. Taxis and valets are two very different things. Silly name change, but good that prices went down a fair bit. So are the taxi drivers going to park guests cars. That could be fun!! Vertikar and Jellybeans1000 like this. Woo-hoo! Twice in one week! Make the most of it peeps - we've just hit peak season! 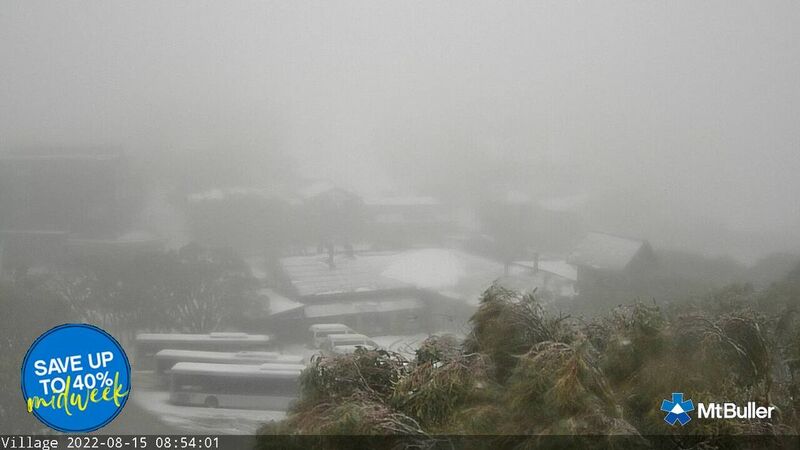 The Snow cams for Mt. Stirling are looking very good for 10th of May 2018 .The Bluff Spur looks skiable although there would still be quite a few hazards, rocks, sticks etc . yet to be buried up there. What is that monster ugly black box of a building dominating the upper left view in the picture ? Complaining about ugly buildings at Mt. 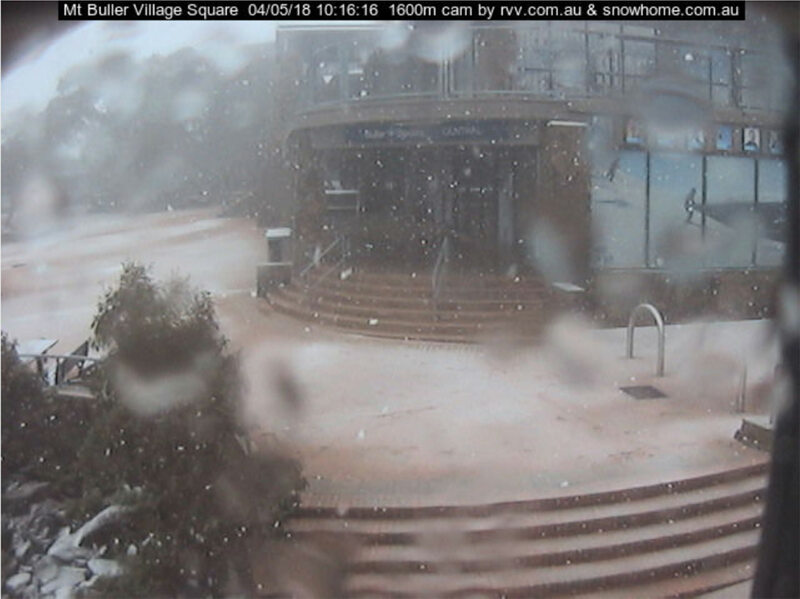 Buller resort is pointless. The whole resort is ugly. Give me the Back Country any day. Hard to become a good enough skier to really enjoy the backcountry without a few thousand resort days under your feet. skixracer, hongomania, mx_boarder and 5 others like this. I call rubbish try the XC to tele route. I skied the Razorback out to Feather Top years before I plonked my backside on a ski lift. Rick Ross Da Boss and Mister Tee on XC Skis like this. Nicer looking than the old shack they had before. Father has many tales to tell of the place, he was in the original membership who built the place. My parents met as members of YHA. Is Bourke St likely to be skiable tomorrow? Much snow across the resort? It's not an inversion, it's just getting warm. Inversion is during still, high pressure with low humidity. Right now is the complete opposite. warm and r***ing here, as well as windy, that just leaves a wet thin cover, can't see much skiable for a while (weeks) yet. 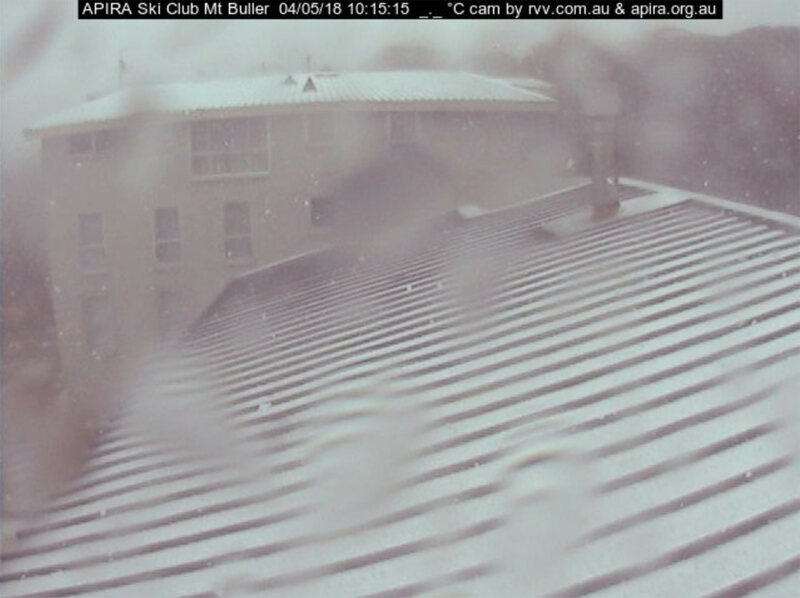 By the look of the APIRA cam I think the wind has shifted it. Pissed down on and off all evening, with rather impressive gusting winds. No matter - the Whitt fire was cranking and the Furphy ice cold. Off to Craig’s Hut today after a B&E / coffee. miss_b_haven and TOFF like this. yeah, must of heard the talking about the YHA building. Just looked at it in daylight, thinking the same. 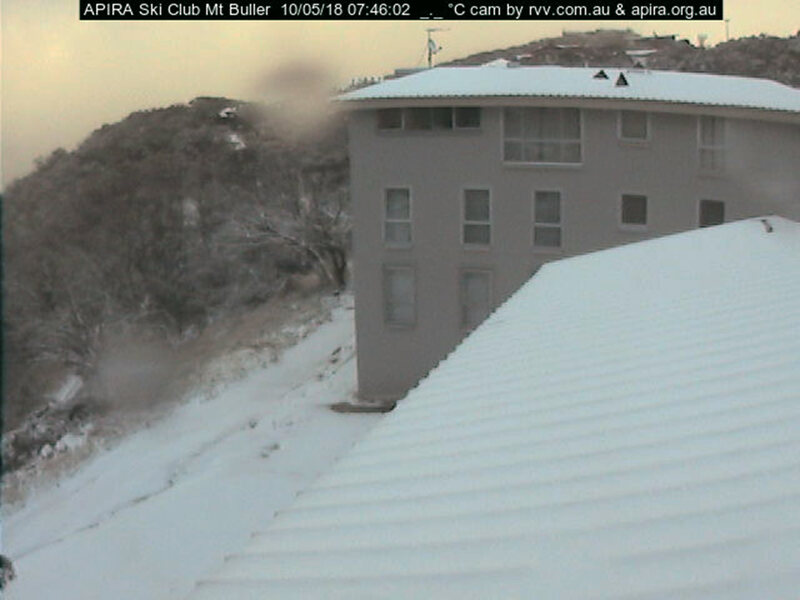 I might have to go past APIRA this year and make sure its all still bolted down. I was planing to remove the temp sensor too, Id like to use it for something else. It requires my server to poll the unit to get temps and control the night light and I don't have access to the cam directly as I did before. No longer members of APIRA.